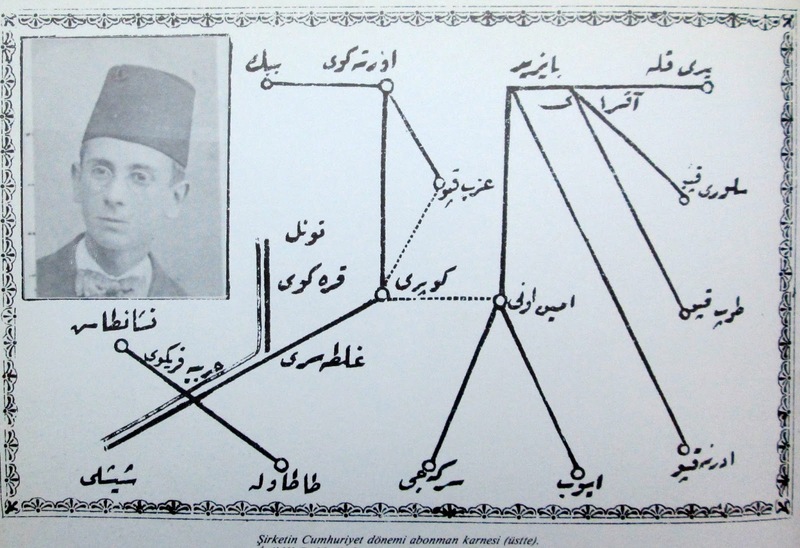 Istanbul's first tram system was run as a concession by the French, hence the initials STC or Société Tramways de Constantinople. 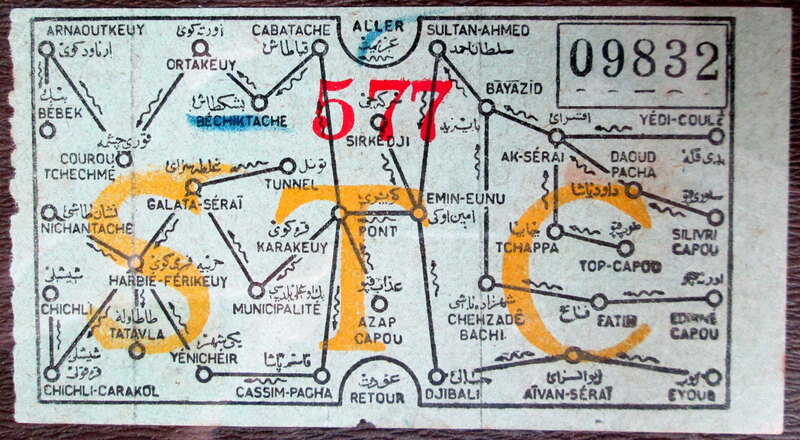 As the ticket above (issued for a one way trip to Besiktas) shows, it was fairly extensive, running all the way from Bebek in the north to Eyup and Yedikule in the old city (Vikipedia has a nice map of the different routes in French, along, with the Golden Horn labelled Corne D'or). 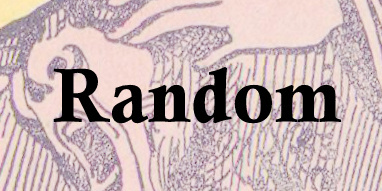 A map from the early Republican period (left) shows much the same system, but of course with the names no longer written in French. This was ideally suited to the subway line seen below that was proposed in 1975. 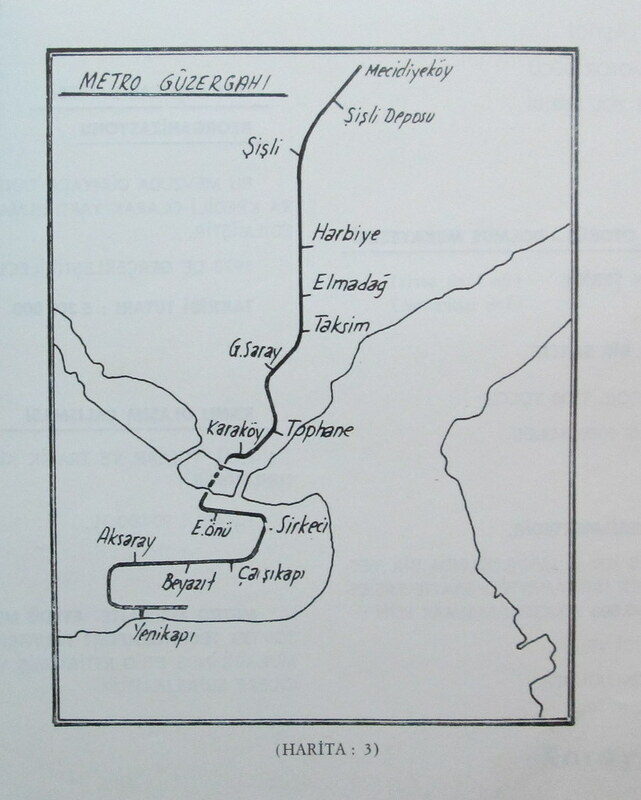 When the line was later built, of course, the city had expanded considerably north past Sisli. 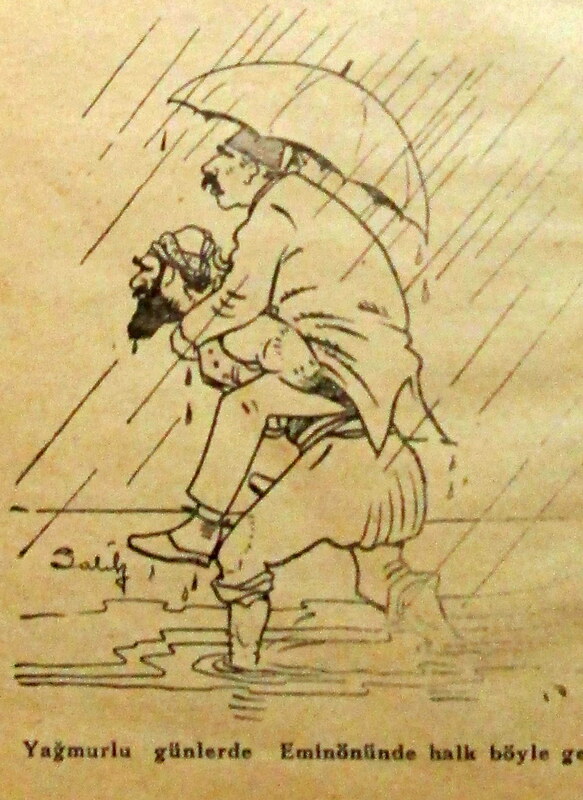 Lest it seem that public transportation in Istanbul has barely caught up to where it was a century ago, however, the following cartoon reveals that other aspects of the city's infrastructure have indeed improved dramatically. 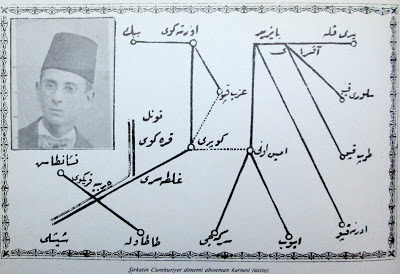 "On rainy days this is how the people passed through Eminonu"
Sources: Ticket courtesy of the Sunday Antikaci Pazari in Kurtulus. 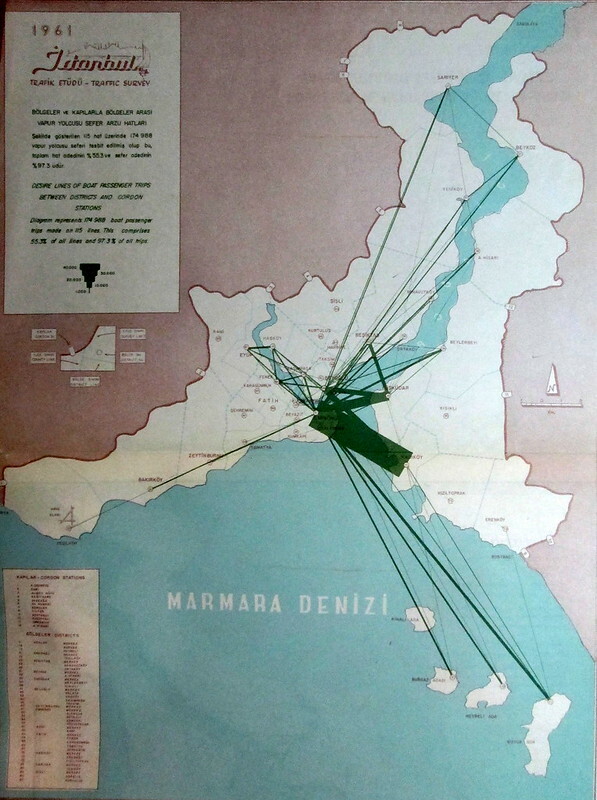 Republican era map from Lelik Gulersoy's Tramvay Istanbul'da, Istanbul Kitapligi, 1989. Transport study from Istanbul Trafik Etudu - Traffic Survey, Bayindirlik Bakanligi Karayollari Genel Mudurlugu, Planlama Fen Heyeti. 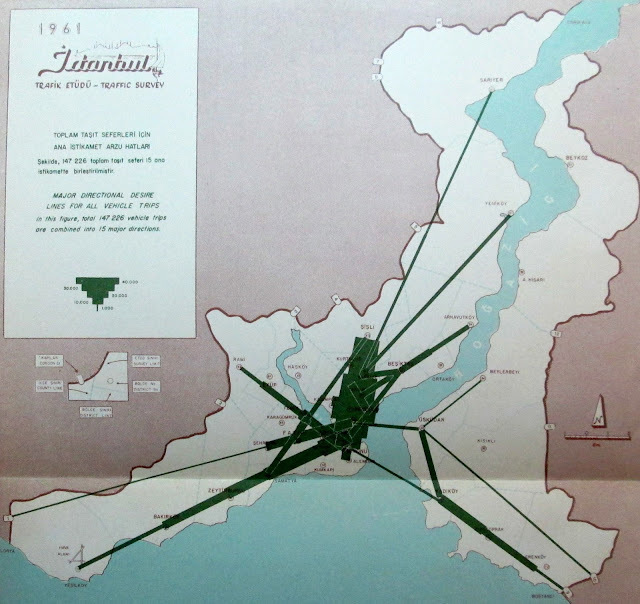 Schematic for the new tram line from Istanbul Ulasiminda 50 Yil, published by the Karayollari Genel Mudurlugu (Ankara) in 1974.